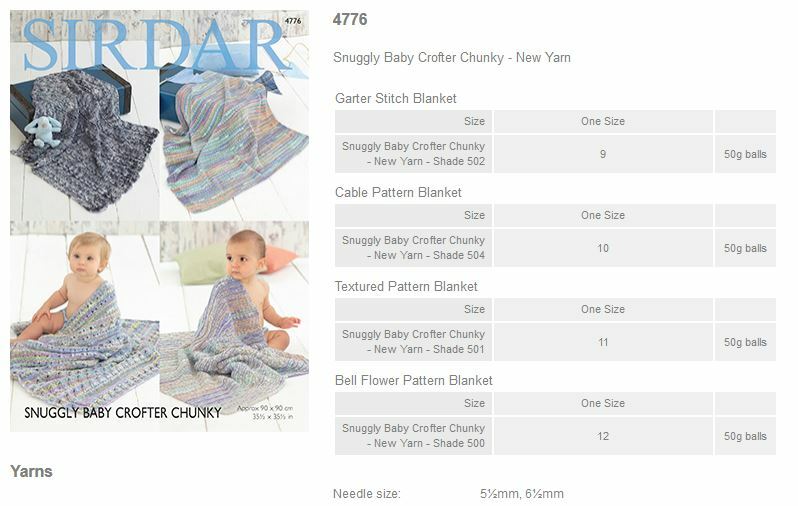 4776 - Blankets using Snuggly Baby Crofter Chunky Leaflet with designs for blankets using Sirdar Snuggly Baby Crofter Chunky. 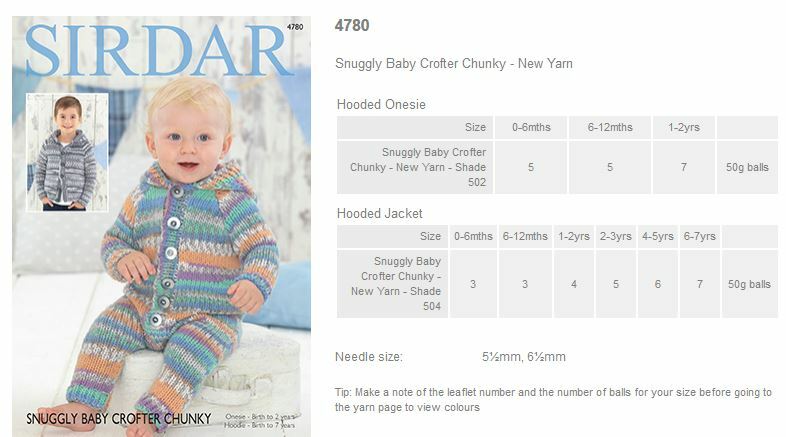 4777 - Round Neck Sweater and Hooded Sweater using Snuggly Baby Crofter Chunky Leaflet with designs for a Round Neck Sweater and Hooded Sweater using Sirdar Snuggly Baby Crofter Chunky. 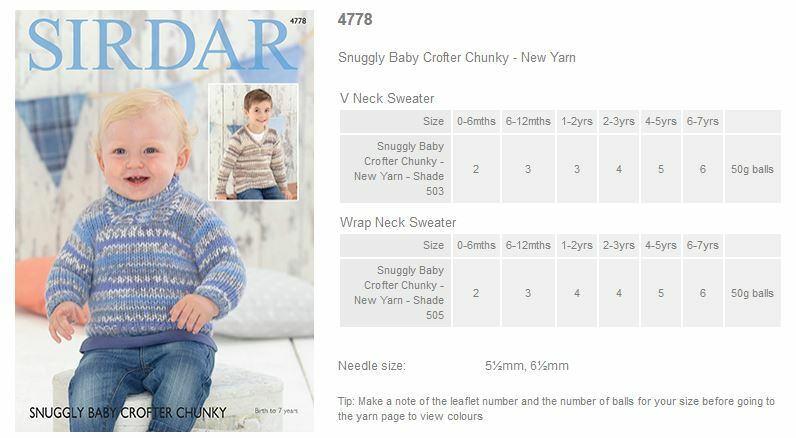 4778 - V neck sweater and Wrap neck sweater using Snuggly Baby Crofter Chunky Leaflet with designs for a V neck sweater and Wrap neck sweater using Sirdar Snuggly Baby Crofter Chunky. 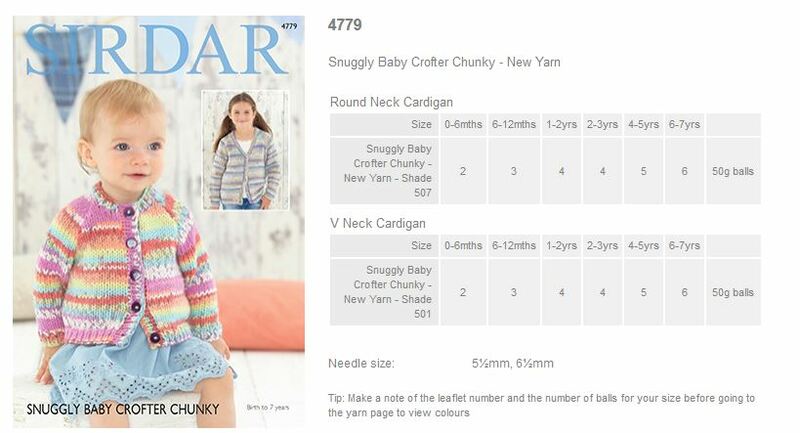 4779 - Round neck cardigan and V neck cardigan using Snuggly Baby Crofter Chunky Leaflet with designs for a Round neck cardigan and V neck cardigan using Sirdar Snuggly Baby Crofter Chunky. 4780 - Hooded onesie and Hooded Jacket using Snuggly Baby Crofter Chunky Leaflet with designs for a Hooded onesie and Hooded Jacket using Sirdar Snuggly Baby Crofter Chunky. 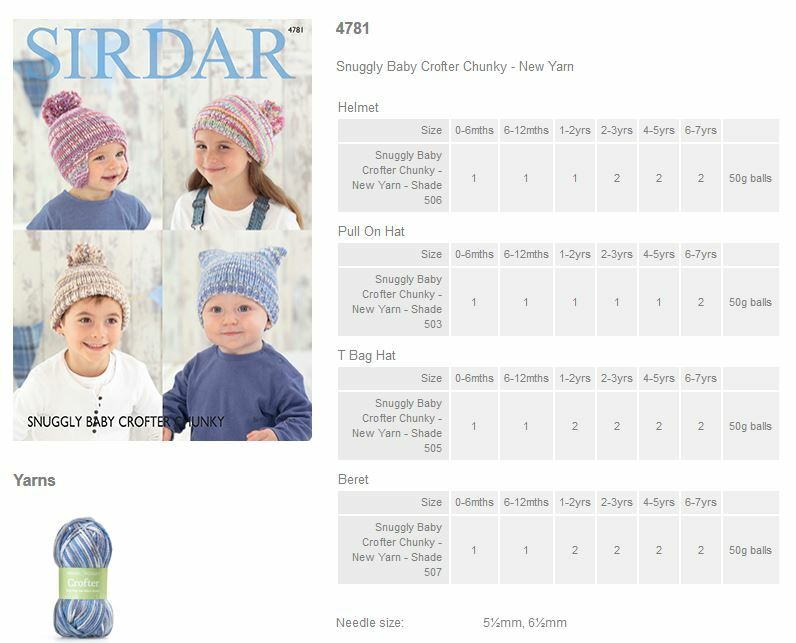 4781 - Helmet, Hats and Beret using Snuggly Baby Crofter Chunky Leaflet with designs for Helmet, Hats and Beret using Sirdar Snuggly Baby Crofter Chunky.